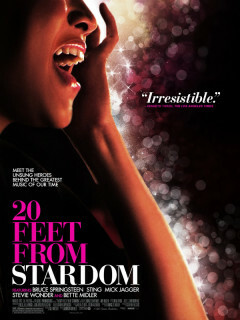 The Oscar-winning documentary 20 Feet From Stardom shines a spotlight on the untold story of the backup singers behind some of the greatest musical legends of the 21st century. Along with rare archival footage and a peerless soundtrack, the film has intimate interviews with Bruce Springsteen, Stevie Wonder, Mick Jagger and Sting — just to name a few. However, these world-famous figures take a backseat to the diverse array of backup singers whose lives and stories take center stage in the film.